I have many colours of ribbon for you to choose from for your wedding invitations and stationery. 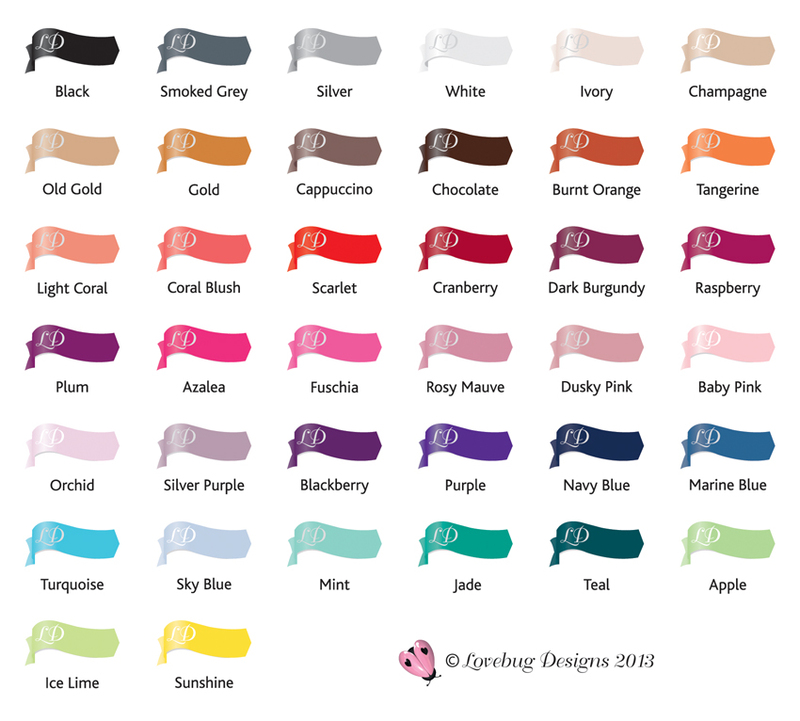 I have hundreds of ribbons in many widths, shades, colours and styles, so if your colour isn’t shown here, then please contact me or send a swatch and I will endeavour to match it as close as I can. I have satin, organza, satin edged organza, glitter organza, polka dot, iridescent, metallic…. the list is endless, but I cannot show them all, so shown here are some of the most common satin shades I work with. I also have most of these in organza. Due to fashion trends, styles of ribbon can change and become discontinued very quickly but I will try to keep this list updated with ribbons that are currently available. Please note I DO NOT sell ribbons for you to make your own stationery. Ribbons are only available to clients buying handmade wedding stationery from me, and if you require coordinating ribbon for your cake etc. then I am happy to provide a quote for any small quantity you might need. Please note the swatches below are a representation only and cannot be relied upon to be an exact match for the colour you are using for your wedding, so if in any doubt at all please send a swatch and I will match it as closely as possible.